Important Note: The SEO changes listed on this page need to be implemented ASAP for your site to achieve top search engine results. Please contact your web designer or MikyMicro to have these changes implemented. High These changes are necessary to achieve good positioning. Not implementing these changes will greatly delay the search results. In competitive markets, positioning may never eventuate if these changes are not made. Medium These changes will improve the strength of the site on search engines. While not necessary for top positioning, they are advisable for gaining those extra places in search results. Making these changes will increase the speed at which results are achieved. Low Not necessary, but will help the site for positioning on smaller search engines. The noodlecars.com web site uses a redirect from the index page. This needs to be removed. It is significantly decreasing the strength of your search positions. Some of your Page Titles are not matching the link text and file names used. An optimal scenario being that each of your page titles are named after the link text pointing to the page. 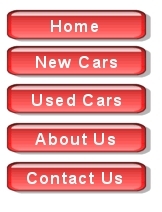 For example on the noodlecars.com web site, the 'About Us' page is currently being linked to by the 'About Us' link. It would therefore be beneficial to use 'About Us' as the title tag for that page. Please keep your internal title tags as short as possible. A good name for a file would then be About Us.html. This change only needs to occur on your main pages, although it is recommended that you implement the change on as many pages as possible. The noodlecars.com web site uses image links for link navigation. These images need to be replaced with text links. CSS can be used to enhance the look of text menus. It is important to have your main link text navigational menu appearing as close to the top of your page as possible. Link text is the most important element of your web site's search engine strength. Link text at the top of a page will be considered to be a lot more important and therefore will be awarded a much higher point score. PLEASE NOTE: Instead of replicating your menu at the bottom of each page, please place a 'back to top' link that will send people back to the top of your web page, so they can select a link from the top menu. An alternative to replacing your navigational menu with text is to add a new text menu to the bottom of each page. This menu should include all of the options in your main menu. While this is not as ideal, it may be the only option that works for your site. Current NoodleCars.com - The Best Cars! Please Note: META tags can be changed/added to every page on the site. It is optimal for the META's to be customised for the pages they appear on. The quote given below for implementation only covers the META tags change for the http://www.noodlecars.com page. Current in Australia. NoodleCars.com has been providing amazing deals. New in Australia. NoodleCars.com has been providing amazing car deals, both new and used sales. Your home page does not have enough text. Text is important for a search engine to assess the value of a page for a particular search. 150-300 words is recommended for each of your main pages, particularly your home page. A temporary solution would be to copy text from another page on your site and modify it for the home page. Ideally, it would be good to include 2 occurrences of each main keyword in your new text. MikyMicro can provide you with a quote to make these changes to your website. Please contact our Support Department if you would like us to provide a quote. Adding useful information aimed at educating your visitors about your product and/or service can be extremely beneficial. Not only will search engines be happier, you'll find that other web sites within your industry will be more likely to link to your site for the benefit of their own audience. If you know of a popular site in your industry that offers helpful links, try to think of what content you can create to inspire them to add a link to your site. News articles are probably the most popular method of content creation, used by many of the major SEO companies today. All web sites should be able to create a news section filled with articles relevant to their industry. Articles can then be archived so that search engines can find them, even if they may seem out of date. Over time larger sites can accumulate 100's of extra pages in their news section. You may be able to expand the information that currently exists on your site. For example, you could create a separate page for each staff member in your business. Or you could offer a more in-depth explanation of your product or service. You may want to run a forum or a blog on your site that is focused on related topics to your web site. Keep in mind that all new content needs to be related to your web site. You will also need to think carefully about how you link all of the new information together. The basic rule of thumb is to minimise the amount of clicks a visitor needs to make from your home page to your new content. Also, make sure that you do not exceed 100 links per page. Ensure all of the sites are related to you industry. Do not swap links with sites that are very general unless they are a major portal with high PageRank. Source links from pages with at least a PR2. The higher the PageRank the better. Of course sometimes PR0 or PR1 links can be beneficial if the relevancy is very high. Ideally it is good to build up a network of PR4+ links. The fewer links on a link page the better. If you can imagine a links page having 100 search engine points. If 50 links appear on the page, each link could theoretically be worth 2 points. If 10 links appear, each link could be worth 5 points and so on. Google and other major search engines will penalise web sites that link with bad neighborhoods. These sites are usually very easy to spot. If you are ever unsure about a site - avoid it! Duplicate content. Duplicated content on your site or an external site will lead to penalties. Please advise our support team if you know of any duplicated content from your site. Use the same colour text as your background. Even if you're using an image background, this technique is heavily penalised and may result in your site being black listed. Hide content by using layers. Some webmasters will hide search engine rich content behind a layer so that no visitor will be able to see the content. This technique is likely to result in a penalty. CSS layers seem to be OK. A general rule of thumb: keep your code as simple as possible. Cloak domain names. There was once a popular SEO technique that has now become very dangerous, which involved cloaking one domain name to another. The idea was that you could fill a page with very high quality search engine content, then redirect all visitors to that page over to another site without the user seeing any of the information. In most cases this technique is easily detected and therefore best left alone. If you're unsure if your domains are being cloaked, contact your Web Hosting company or Web Designer. Use link programs that establish large amounts of links quickly. There's a number of linking programs that provide a large volume of links in a very short period. While this seems to be a great solution to link building, it can be extremely detrimental to your search engine results. Basically, linking too quickly is now penalised by engines like Google. Also make sure that if you are using a link management system, that your link building is customised and not just part of a link farm. A link farm is a group of web sites that are required to link to every other site in the group. Change to a new domain! We have occasionally seen instances where, against our recommendations, a client has completely moved or redirected to a new domain after having an already established, well ranking domain. Usually brought about by a re-branding campaign. With a re-direct please be aware that you may not see results drop straight away but from our experience it can have dire consequences. Sign up for 'free for all' style linking strategies. These are very easy to obtain (for a reason). Google is well aware of them and they can certainly incur big penalties. If you have any queries regarding SEO at all. Call us. If you have any questions regarding this SEO report, please email support at jb@mikymicro.com.